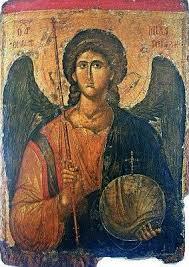 Michaelmas, the feast of Saint Michael the Archangel (also the Feast of Saints Michael, Gabriel, Uriel and Raphael, the Feast of the Archangels, or the Feast of Saint Michael and All Angels). In medieval England Michaelmas marked the ending and beginning of the husbandman's year. Michaelmas marks the beginning of the academic year in universities, the beginning of autumn and the shortening of days. Michaelmas is one of the quarter days. There are four “quarter days” in a year, Lady Day (25th March), Midsummer (24th June), Michaelmas (29th September) and Christmas (25th December). These are three months apart, on religious festivals, close to the solstices or equinoxes. They were the four dates on which servants were hired, rents were due or leases begun.